10 February 2018 – The IWMSA EC Committee invited the general public and surrounding businesses to join in the war against waste and clean up the Baakens Valley. 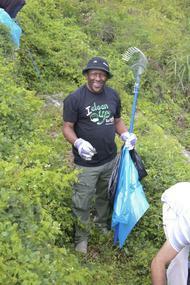 The cleanup stretched from Bridgestreet Breweries down to the MBDA and a total of 1000kg of waste was picked from the river and surrounding areas that morning. The two bag system was used, to ensure that recyclables could be kept separate from general waste that would go to landfill, “we already face the threat of our landfills filling up sooner than anticipated, and we need to actively educate the community about responsible waste management,” says Theo von Ruben, Chairperson of the IWMSA EC Branch. 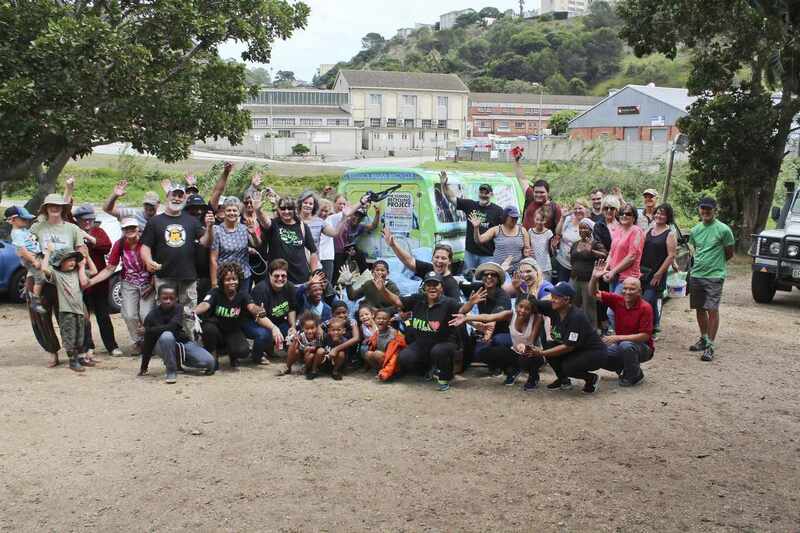 Aproximately 60 people attended, and the event was also supported by other interest groups such as The Baakens Valley Trust and The PE Permaculture Group. Young and old were seen working together and members even persuaded the local community to leave their cozy homes and join in the cause. The Event was arranged in response to the IWMSA EC's year end function at Bridgestreet Brewery, which highlighted the problems faced within the Baakens Valley, as well as the importance of it to the city of Port Elizabeth.